Commercial kitchen ventilation systems have a long history of growth. Necessity continues to drive the industry long after cave dwellers moved cooking fires indoors. Chimneys came along in the 11th or 12th century. During the late 1800’s ventilating fans were introduced. Currently, industry-wide developments are focused on energy efficient integrated systems. 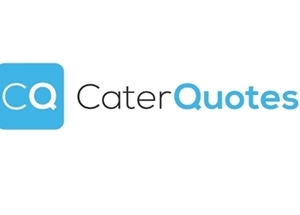 Catering Insight monthly business magazine reports on Technavio’s prediction for steady growth in the commercial kitchen ventilation systems market. This market research company has a long history of savvy projections. Technavio’s 2016 report tracks customer needs and preferences to determine global market outlook and growth prospects for the industry. The study focuses on growth for 2017-2021. 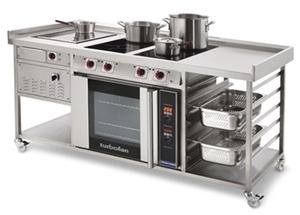 High-quality commercial kitchen ventilation systems are essential to any foodservice business. Ventilators consume lots of energy, the equipment efficiency is most important. 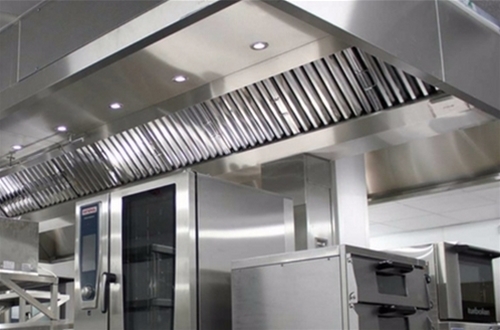 Manufacturers have become innovative in their design of exhaust fan systems with canopy hoods. Food service establishments are investing in energy efficient systems to both lower energy bills and reduce noise levels. Ventilation system manufacturers contract with restaurants, hotels, hospitals and corporate offices. Demand control (DCV) systems are the product of choice. Filters capture grease and fumes from cooking appliances. Additionally, smart technology monitors outside ventilation air, the number of occupants in a space, and comfort demands. The wide range of end-users and specialist applications support the growth of these businesses. Technavio’s data confirms an increasing number of restaurant openings. From fast food to fine dining, any construction or renovation project must install a ventilation system. Statistics further incorporate the quantity and quality of current systems. All factors considered led to the positive overview. In the United Kingdom’s the food service market has records a growth rate 3% annually. Studies conclude over 40% of UK consumers eat out at least once a week. This results in close to 80 billion British pounds spent annually in cafes, restaurants, and pubs. Technavio shows a growth in consumer spending in the Asia Pacific region. McDonald’s revamped their business model to expand operations. Projections call for over a thousand new restaurants in China, Hong Kong, and South Korea. Latin America, the Middle East, and Africa’s economies reflect less consumer spending currently. Growth of fast food restaurants and other types of eateries are not predicted at this time. United Kingdom manufacturers are committed to this growth trend. Over one-half of airside products used globally are made in the UK. Companies compete by brand and niche specific sectors. Fan coils, fans, blowers, and vent equipment are exported to the Middle East and other countries in the British Commonwealth. 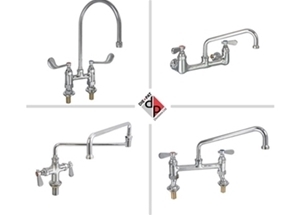 These products are sold directly to contractors, end-users, or trade distributors. Nuaire Group is one of the country’s leader in the design and construction of ventilation systems. The company joined Polypipe Group in 2015. Nuaire products are sold in over 40 countries. Investment in a new manufacturing plant doubles the company’s production capabilities. Designers and analysts are concentrating on a new range of features. The Welsh government provides assistance for long-term market motivation. Gaylord Industries is based in the United States. The company’s commercial canopy hoods and other custom engineered equipment are used globally. Air management specialists continuously fine-tune advanced airflow distribution. Factory-trained sales people sell these products. Gaylord insures their first impression becomes a lasting relationship. Halton Group Americas provides its CMW-FMOD - cold mist on demand hood. This technology reduces the temperature of the air and removes grease from exhausted air. Halton systems are certified under the ETL Mark. The company’s service includes target-setting, facility use, and creation of a positive indoor environment. In March, 2017 Halton partnered with Welbilt Incorporated to combine their ventilation solutions with Welbilt’s cooking equipment. Halton’s manufacturing facilities are located in the Americas, Europe, and Asia. Increasing awareness of indoor air quality is excellent news for this industry. Innovations will continue driving the market fast-forward. Better systems will meet international standards of energy-saving heating and indoor air quality. Beyond indoor comfort levels, international environmental regulations have strict guidelines for sufficient quantities of uncontaminated air. Emissions refers to any chemical such as carbon monoxide, carbon dioxide, and metallic carbides or carbonates that participates in atmospheric photochemical reactions. Strict regulations for Volatile organic compounds (VOC) are used in cleaning, disinfecting, and degreasing products. These are essential in the restaurant industry. Fuel is also composed of organic chemicals. These products release chemicals when being used and when stored. The global rise in pollution and adverse health effects also drive research. Ventilation is important because the concentrations of these chemicals measure up to ten times higher indoors. This is the main instrument for the reduction of industrial emissions in the Europe and the Americas. Commercial kitchen ventilation systems meet all the criteria for profitable conservative investment. The growing demand for these products is the first consideration. The companies above have realistic growth plans and diverse mixes of products and customers. Their position in geographic markets and relationships with suppliers are solid. Explore these and other competitors in the industry for possible additions to your portfolio.